Home / Opinion / Blogger and Webmaster: "Did Trillanes Deserves the Amnesty Granted Him by Aquino in 2010 to Begin With?" Blogger and Webmaster: "Did Trillanes Deserves the Amnesty Granted Him by Aquino in 2010 to Begin With?" 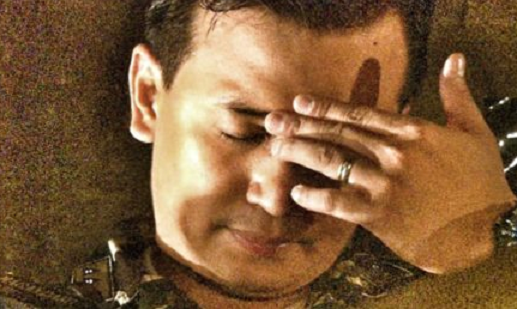 Popular blog site, Get Real Philippines with it's anonymous yet known writer, Benigno, once again posted a very striking opinion this time regarding the very controversial Senator Antonio Trillanes IV and the latter's recent revocation of amnesty. It was reported yesterday that President Rodrigo Duterte has invalidated the grant of amnesty to Senator Antonio Trillanes IV and orders his arrest. The Senator, however as of press time last night, has decided to stay at the Senate premises since other senators agreed that authorities should not be allowed to arrest the opposition lawmaker inside the Senate building to preserve the institution’s dignity. 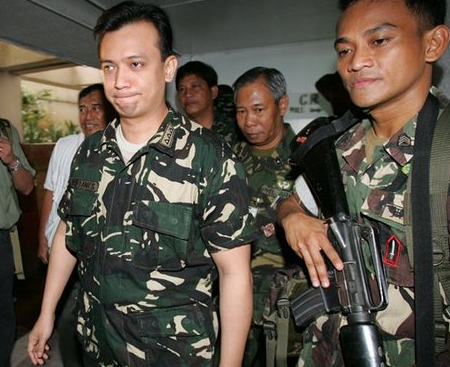 Trillanes' amnesty was allegedly voided for failure to comply with its minimum requirements and was ordered to be arrested and prosecuted for his involvement in the 2003 Oakwood mutiny and the 2007 Manila Peninsula Hotel siege against the administration of then President Gloria Macapagal-Arroyo. Now the question, according to GRP's Benigno is "Did Trillanes deserve the amnesty granted him by Aquino in 2010 to begin with?" As stated by Benigno, the vital point that needs to be discussed in regard to Trillanes' case is actually not the specialized language of the legal profession that is now being circulated in television and social media but rather, to question what the Senator has done to make amends for those crimes that makes him deserving of amnesty in the first place, and whether that amnesty granted by then President Benigno "Noynoy" Aquino III was really legal or not. The writer thereupon identified Senator Trillanes' crimes one by one that as per him endangered thousand of Filipino lives. Likewise he said that it is apparent that there is definitely no reason for legitimizing such amnesty to any individual who occupied with the kind of military adventurism that Trillanes and his group conveyed, thus, granting him an amnesty then is really questionable. Benigno then ended his article by asking the same query, challenging the people to answer that question without referring to any of the Oppositions' thoughts and accounts. "Did Trillanes deserve the amnesty granted him by Aquino in 2010 to begin with?" "At present, much of the chatter surrounding the voiding of the amnesty granted by then President Benigno Simeon ‘BS’ Aquino III to “senator” Antonio Trillanes in 2010 revolves around whether that action was legal or not. That is because lawyers enjoy disproportionate celebrity amongst the chattering cliques of partisans that populate the national discourse. But in so focusing on mere legalities, the Philippines’ foremost “thought leaders” miss the more important points surrounding this circus. See if you can answer that question without referring to any of the Opposition notions and narratives."